Your data is confidential. Your privacy is of the upmost importance to us. 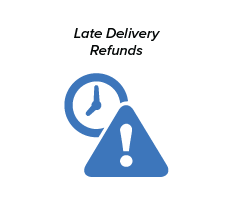 If your business ships via FedEx or UPS, you are entitled to refunds on all late shipments. 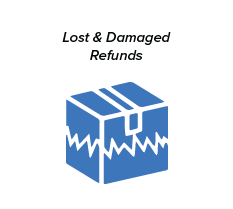 Our partner, 71lbs works on your behalf to identify those late shipments, file and fight your claims to make sure you are getting your due refunds. 71lbs is focused on reducing your total shipping cost and provides a robust dashboard with in-depth shipping analytics that will aid in your overall shipping process, clarifying the confusing fee and cost structure of FedEx and UPS. 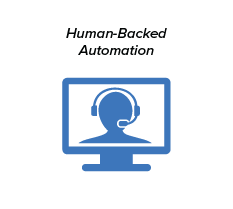 As Your Shipping Advocate, 71lbs makes it easy to automate your shipping refunds, assist with lost or damaged claims, and more. The fee for the service is contingent upon the actual refunds you receive. They only get paid after your company does. See what customers have to say about 71lbs! "Credits appear directly in our online account with our shipping carrier, and 71 lbs notifies us each week with a detailed report. I would recommend 71 lbs to any business that ships! It just makes sense."